This electronic cooker has been specially adapted to allow switch operation. Plug one or two switches into the 3.5mm jack sockets and press to start or use the front panel controls. It’s ideal for cause and effect and role play activities in the classroom or at home. 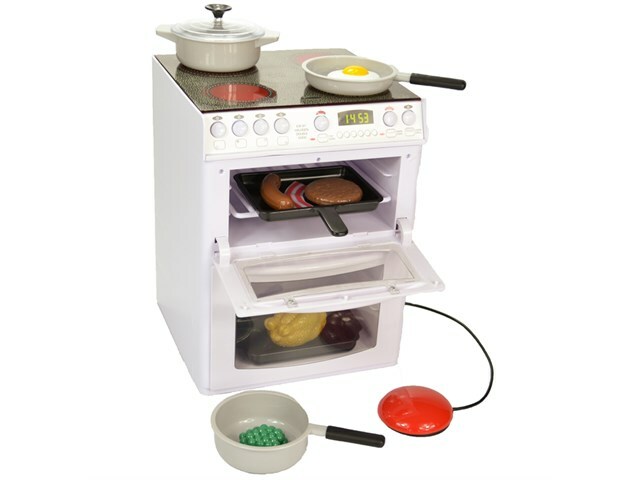 This Electronic Cooker recreates all the functions you will find on a real-life cooker and is supplied with pans, oven trays, grill pans and model foods for realistic role-playing games. 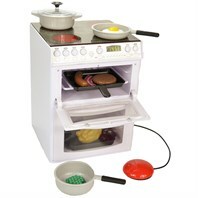 It’s a realistic scaled down model of an electronic cooker with a switch adapted cooking ring and grill function. Connect one or two external switches to the 3.5mm sockets on the side of the cooker and press for lights and sounds simulating cooking. Or press the individual buttons to activate all the functions on the cooker. Dimensions: 30cm x 22cm x 22cm.